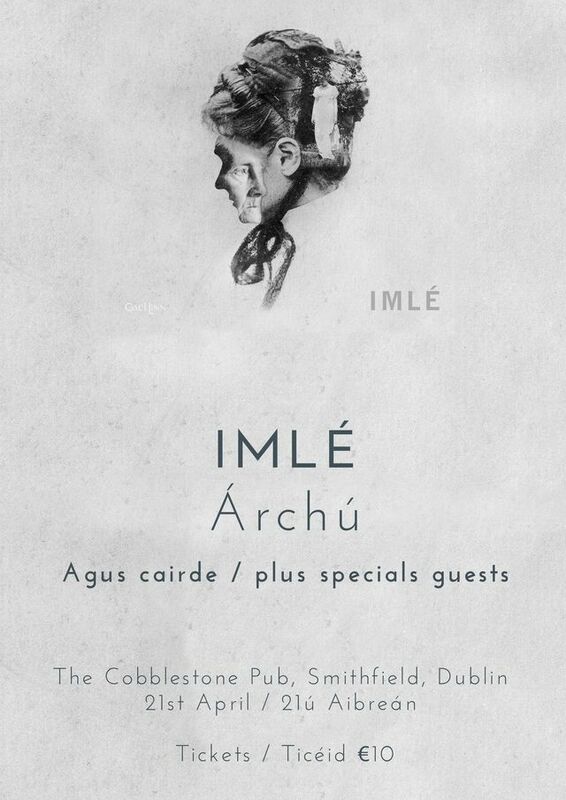 IMLÉ and Árchú are coming together to organise an evening of music in the wonderful Cobblestone pub in Dublin on April 21st. We’ll also be joined by some special guests (lots of surprises) on the night. Tá IMLÉ agus Árchú ag teacht le chéile chun oíche den scoth a shocrú sa Cobblestone i mBaile Átha Cliath ar an 21ú Aibreán. Beidh aíonna speisialta ann ar an oíche chomh maith. Bígí linn.